We promote the sport of fishing and conservation of the River East Allen for anglers and the local community. 1. Fishing is by fly (fly only coatenhill), worm or spinner only - barbless hooks. 2. Only one migratory fish to be taken in any 24hr period per person, up to a maximum of 5 in any one season and two rainbow trout to be taken by any one angler at coatenhill in one day. 3. No person to take and kill salmon smolts or any brown trout. 4. No person to light fires on the bank side, leave gates open or damage crops and hedges. 5. No person to take dogs to the waterside or interfere with game. 6. No person to trespass in any adjoining fishery. 7. No person to sell any caught salmon or sea trout. 8. Environment Agency byelaws apply. 9. All Members must ensure they have the correct Environment Agency Rod Licence and must produce it along with their AVAC Membership card or day/week fishing permit on request by any full Member of AVAC or Environment Agency Officer. 10. AVAC Members are permitted to take non anglers to accompany them whilst fishing, but are responsible for their behaviour at all times. 11. Anglers must keep moving down river between casts when others are waiting to fish. No angler shall commence fishing in front of any other angler. 12. 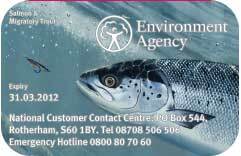 It is illegal to take fish less than the size limits listed on the Environment Agency website. 13. Membership is on condition that all rules, byelaws and conditions of the licence of AVAC, Environment Agency and riparian owners are adhered to. Members are requested to do all in their power to assist the Committee in the detection and suppression of illegal fishing and to report immediately to the Secretary any infringement of AVAC Rules. If any poaching activity is noticed ring the Environment Agency immediately on 0800 807060. 14. Any Member changing address shall give notice of the change to the Secretary and, until such notice is given, all communications sent to the last address shall be deemed to have been served on the Member. 15. Members must show their Membership card on request. The Committee and all Members are empowered to check permits and cards, the authority for this purpose being the Members Card. 16. The Committee shall have power to enforce rules and make such byelaws as may be necessary for the conduct of AVAC with these rules. 17. All Members (including day and week permit holders) shall be required to produce an annual catch return of fish caught and provide to the Secretary by 30th November each year. 19. There shall be no prawn or shrimp fishing on any AVAC waters. A copy of the full fishing club rules - covering everything from the type of fishing allowed to the rules for election of members. Providing a log of all fish caught is a legal requirement. 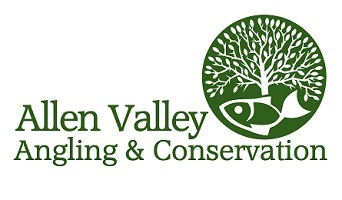 Email your return to info@allenvalleyanglers.co.uk as early as possible and no later than 30th November. Please ensure you comply with Environment Agency rules - including fishing licences & regional byelaws (which include size limits on fish, etc), before you fish on AVAC waters. Click for details of North East Fishing Byelaws from the Environment Agency website or download a copy.